Last year’s “Jane Kim Amendment” to the Rent Ordinance almost immediately frustrated San Francisco property owners, who lamented the loss of “no subletting” provisions and occupancy limits in their rental units. It also frustrated some of their attorneys, who lost eviction lawsuits at the pleading stage for failing to attach the new required form to their termination notices. This year’s Ordinance 17-16 makes some minor changes to the Rent Ordinance, including a change to the new Form 1007, which now includes information about the Mayor’s Office of Housing and Community Development regarding eligibility for affordable housing programs. Having just become effective on March 19, 2016, it is not yet clear if tenants will be able to successfully demurrer to complaints with notices that used the old Form 1007… but some of these changes are starting to feel more like traps for practitioners than features of a comprehensive affordable housing plan. In any event, make sure to use the newForm 1007, not the old one. You can find the language of Ordinance 17-16 here, and the new Form 1007 here. The San Francisco Housing Court has begun sustaining demurrers to unlawful detainer complaints that fail to allege compliance with the “dominant motive” requirement of the Section 37.9(c) of the Rent Ordinance and/or attach termination notices that do not include the Rent Board’s Form 1007, containing multi-language advice to tenants about the Rent Board. These new requirements – imposed by the “Jane Kim Amendment” to the Rent Ordinance – have been catching some practitioners off guard (which, to some degree, may have been the point). While it is a simple enough task to amend the complaint to state that “collection of rent” (or whatever) is the landlord’s “dominant motive” (as is now required by the amended Section 37.9(c)), the missing Form 1007 is more problematic. Section 1166 of the Code of Civil Procedure, requiring landlords to attach termination notices, does allow amendment of the complaint upon failure to attach a copy of the notice (or, unless leave to amend is futile, a complete copy of the notice). Unfortunately for landlords, Form 1007 must be attached to the notice, the service of which is a prerequisite to an unlawful detainer cause of action. Following the recent Borsuk decision, Delta Motions To Quash no longer appear to be a viable pleading challenge to test the sufficiency of a cause of action for unlawful detainer. Nonetheless, this kind of defective pleading would seem to appear on the face of the unlawful detainer complaint, making it appropriate for demurrer. And, where a properly-served and legally sufficient notice of termination is a prerequisite for unlawful detainer standing, leave to amend is not likely to rescue the lawsuit. Chapter 47 of the San Francisco Administrative Code provides for affordable housing unit priority for various categories of tenants. Originally, the stock of affordable units was allocated to applicants who obtained “Certificates of Preference”. In 2013, San Francisco enacted Ordinance 277-13, which added a category for tenants displaced by the Ellis Act. In 2015, the City enacted Ordinance 204-15, which included tenants displaced by owner move-in evictions under Section 37.9(a)(8) of the Rent Ordinance. Currently, the Board of Supervisors is evaluating adding another category for people who live or work in San Francisco. With the “Jane Kim Amendment” to the Rent Ordinance effective as of this Monday, the Rent Board has now published the required foreign language forms that must be served along with termination notices. You can read about other “Eviction Protections 2.0” requirements here. 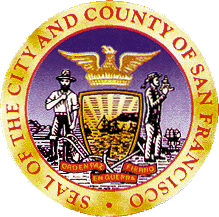 This September, the San Francisco Board of Supervisors passed Ordinance 171-15. Also known as the “Jane Kim Amendment” or “Eviction Protections 2.0”, the new legislation proposed by Supervisor Kim amends the San Francisco Rent Ordinance in an effort to heighten protections for tenants against evictions. Among other mechanisms, the revised Rent Ordinance language now requires breaches of lease covenants to be “substantial” and for the commission of nuisance behavior to be “severe, continuing or recurring in nature” for an eviction notice to be viable. (It is yet to be seen whether these subjective terms actually change existing standards.) It significantly erodes the ability of landlords to enforce provisions governing occupancy limits and prior approval for subletting, and it imposes new “prerequisites” for serving eviction notices for such breaches. It also requires a landlord to “plead and prove” a proper “dominant motive” for terminating a tenancy. As for non-fault evictions and voluntary terminations of tenancies, the Rent Ordinance now requires notices containing the existing rental rate to be filed with the Rent Board, and it imposes “vacancy control” at that rate for five years following termination of the tenancy. Ordinance 171-15 was returned unsigned by the Mayor on October 9, 2015 and will be effective November 8, 2015. You can find the legislative language of Ordinance 171-15 here, and a draft of the proposed Rent Board amendments to their Rules and Regulations to implement Ordinance 171-15 here. San Francisco’s Proposition G would impose a five-year descending transfer tax rate on multi-unit residential property in an effort to deter speculation. Tenants cannot be evicted merely because building is sold, so the aim of this measure is to stop the use of the Ellis Act to terminate tenancies and sell owner-occupied Tenancy-in-Common units. Proposition G follows San Francisco’s recent effort to frustrate use of the Ellis Act by significantly increasing the statutory relocation assistance payment. San Francisco has also attempted to undermine TIC sales directly by eliminating contractual exclusive rights of occupancy.